It is a great tragedy, and a more curious form of martyrdom, when a Christian dies at the hands of other Christians. 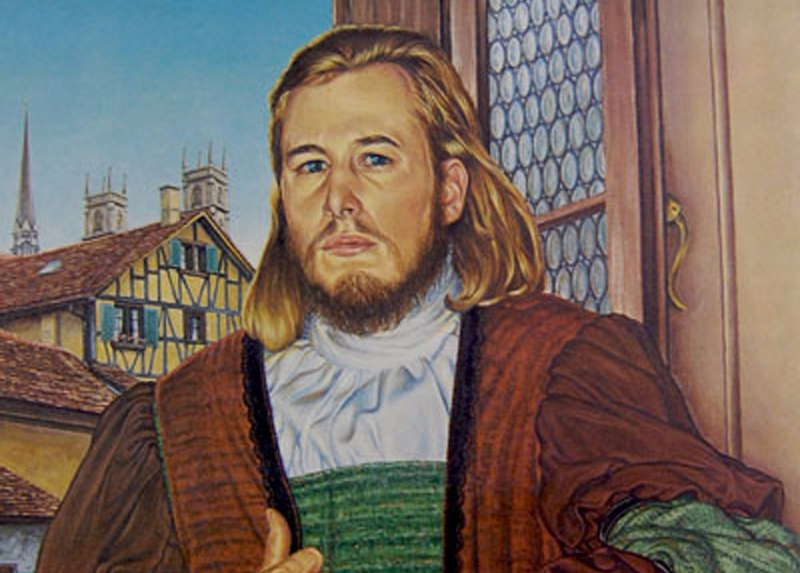 Who was the first person killed for being an Anabaptist? It wasn’t Felix Manz. Manz (ca. 1498-1527) was drowned on Jan. 5, 1527, “in the River Limmat, the first Protestant martyr at the hands of Protestants” (J. G. G. Norman). Felix Manz is better known. He knew Latin, Hebrew, and Greek, and had joined Ulrich Zwingli’s Bible classes in 1522. With others, he pressed for reform. When Zwingli deferred to the pace of the city-state’s council, Manz and others began to meet separately. When some parents refused to have their children baptized, they were fined. On Jan. 17, 1525, Manz made the case for believer baptism before city council; the council rejected this. The next day council threatened to banish people who did not present their children for baptism within eight days; Manz was to submit to the order and cease arguing. On Jan. 21, 1525, he and others were baptized as believers. During the next two years Manz was repeatedly arrested and imprisoned; he escaped once only to be recaptured. He would emerge to strengthen his brothers and sisters in the faith, and, when allowed, make the case for believer baptism before Zurich’s city council. He said he had never rejected government, preached in other pastorates only as any disciple would do, denounced both capital punishment and the use of the sword, and taught to share with the needy. Once, when released from prison, Felix left Zurich for the canton of Grison. He was arrested and returned to Zurich with a letter dated July 13, 1525, that shows the magistrate’s frustration with him and, perhaps, Zurich’s city council: “But because he is an obstinate and recalcitrant person we released him from prison and because he is one of yours we have sent him to you, with the friendly request that you look after him and keep him in your territory, so that we may be rid of him and our people remain quiet, and that in case of his return we are not compelled to take severe measures against him” (H. Bender and C. Neff). On March 7, 1526, Zurich city council made believer baptism punishable by drowning. On Dec. 3, 1526, Manz was arrested and on Jan. 5, 1527, sentenced to death. That afternoon he was taken in a boat onto the Limmat River. There, he heard his mother call out for him to be steadfast. Manz spoke out in Latin: “Into your hands, O Lord, I commend my spirit.” An executioner forced Felix’s bound hands over his knees, put a stick between his arms and knees, and pushed Manz into the water. Four centuries later a memorial plaque would be placed on the riverbank. Ironically, as Felix Manz had prepared to die, a “preacher at his side spoke sympathetically to him encouraging him to be converted.” Converted to whom? If to Christ, Felix was that already. It is a tragedy for Christians to die at the hands of non-Christians. It is an even greater tragedy, and a more curious form of martyrdom, when a Christian dies at the hands of other Christians—especially when a sympathetic pastor is present. Sources: C. J. Dyck, ed., An Introduction to Mennonite History (Herald Press, rev. 1981); C. Neff, “Eberle, Bolt” (GAMEO, 1953); W. Klaassen, Anabaptism: Neither Catholic nor Protestant (Conrad Press, 1981); J. G. G. Norman, “Manz, Felix,” Dictionary of the Christian Church, ed. J. D. Douglas (Zondervan, 1981); H. Bender and C. Neff, “Manz, Felix” (GAMEO, 1957); H. J. Hillerbrand, The Reformation (Baker, repr. 1987); Southwestern News, Fall 2012 (SBTS).